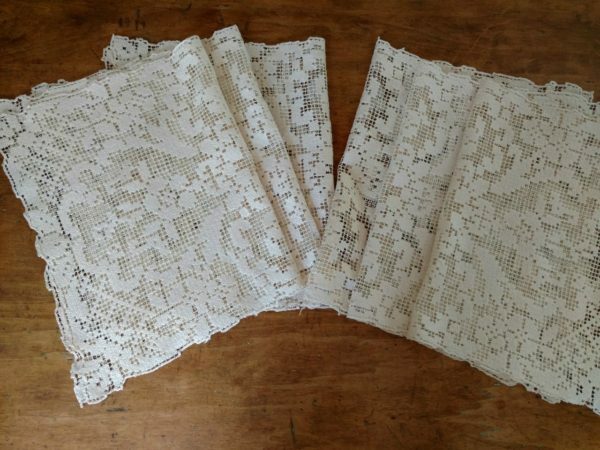 A set of 6 vintage 1920’s , 1930’s, darn net lace table placemats. The knotted filet lacis are probably machine made in a cotton thread. However, a possibility they are hand made. Either way, an attractive design of flowers and a geometric pattern. The vintage set are an ecru color.